who want to volunteer The Gambia – read more here. 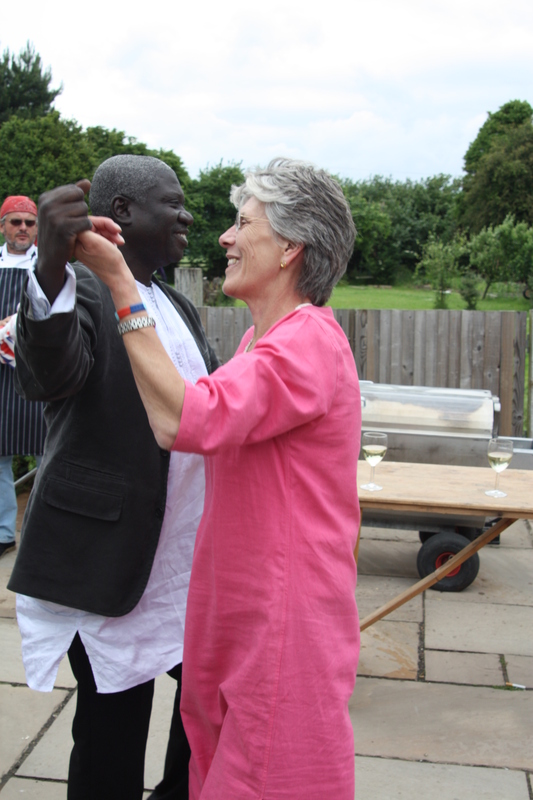 Sallie recently wrote a piece for The Gambia Experience blog explaining how and why people and places was conceived – it has a lot to do with The Gambia! “people and places was conceived in a garden in The Gambia – so The Gambia, and the work we do there, has a special place in our hearts. We couldn’t ask for better partners to work with in our volunteer programme than The Gambia Experience; we know all at the Gambia Experience share our commitment to the warm and welcoming people of The Gambia. Let me tell you how it all began for people and places… In a previous life I sold clothes for tall women through a chain of retail stores in the UK. I loved it – nothing better than identifying a need and satisfying it, especially when others are patently failing. That was certainly the case for tall women in the ’80s and ’90s in the UK. I learnt a lot: about marketing on a shoe string; bookkeeping and accounting; customer service and quality control; people management; building trust with partners and suppliers (we were so small when we started we certainly weren’t going to make anyone rich! ); even a little about fashion and predicting trends; but most of all responsibility. And though I didn’t realise at the time, my time selling frocks was preparing me for the important work we at people and places do now – matching skilled and experienced volunteers to vulnerable communities’ needs. All the business skills I learnt in 25 years of retail management – every one of them – I apply and use every day to help economically poor communities build the future they want for themselves..
Then I sold out my share of the business, and spent two years of hedonism, determined to pursue interests for which there had previously been little time: sailing, studying Egyptology ,riding, and travel itself. After a couple of years it was not enough. I felt the need to do something worthwhile whilst travelling and I spent weeks surfing the web looking for organisations that could offer opportunities for me to share my skills. I was a green newcomer to the world of volunteer travel and tourism, but I eventually found an organisation that professed to need my business skills. I would be the first volunteer on this project, and I was excited by the challenge. I would use my business skills to work on a wealth-creation project in The Gambia – a country I knew little about. 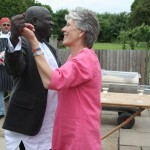 So I set about my research, much of which came from the Gambia Experience website – yes they were experts even back then! – and it was with TGE that I excitedly booked my flight. All that attracted me to The Gambia then still holds true today – an open and friendly multi cultural society in a tiny country, glorious weather, exotic landscapes, warm sea, friendly and welcoming people: in short “soft Africa”. I paid a substantial project fee, and allowed for my living expenses that had been previously estimated by the placement organisation at around £10 per week while staying with a local family. This proved rather a long way from being accurate. I soon discovered that the accommodation was to be in a rural village – a very long way in terms of distance and accuracy, as my work was to be in the capital city of Banjul… Accommodation ended up costing me more than 5 times the quoted guideline; and only after much teddy throwing did any of the money I had paid find its way to the project I was working with. Discrepancies between the apparent offer and reality didn’t stop there. The local representative who was supposed to be my primary aide proved to be impossible to contact, lived more than four hours away, and spoke virtually no English. Only as I worked on the concept for people and places did I realise just how poorly prepared and supported I was. I soon realised that the “international marketing” I had been asked to address for the organisation I had been placed with was completely inappropriate. This realisation came after Adama (a special man who now works with us as our local partner in The Gambia) and I had spent hours driving around the tiny country trying to find the “managers” of the project. I’m pretty resourceful and I set about finding people to work with at the UN and in the national government, and eventually achieved a degree of local success – but I firmly believe this wasdespite the sending organisation I had paid a lot of money to, not because of it. people and places-responsible volunteering is a social enterprise-what does that mean?